The Stone Temple Pilots have filed a lawsuit against former singer Scott Weiland, whom they fired in February. TMZ reports the band claims Weiland sabotaged its 20th anniversary tour by being chronically late for performances and missing promotional gigs. STP also claims in the lawsuit that Weiland wouldn't even communicate with band members, and that the singer’s plan was to "hijack" the tour. The suit is the latest part of the unfolding story of Stone Temple Pilots, who have begun working with Linkin Park frontman Chester Bennington. The group performed with Bennington recently as part a surprise appearance at an annual in Los Angeles radio station concert event. 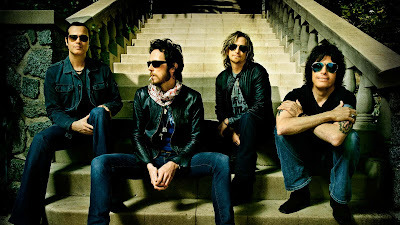 STP also released a new single, “Out Of Time,” with Bennington and are offering it to fans as a free download (here). Weiland responded to his former group’s situation in a letter posted to fans – read Scott’s full text here.